Bloody Mary Pickles - ROCK ! If you like Bloody Marys - which I LOVE - then these are just the right pickles for you. Shake the jar to get the perfect amount of spice and peppery brine. I have also added Vodka to the mix and poured into a glass to drink ! The Single Barrel Pickles make the perfect snack. Enjoy them anytime of the day. HIGHLY RECOMMEND THESE! 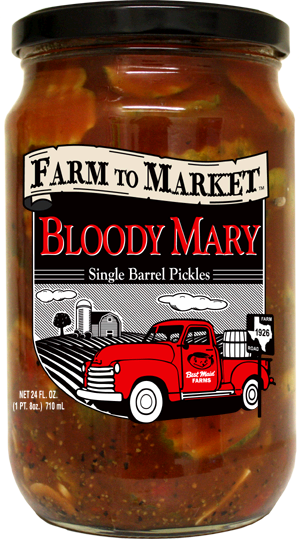 Bloody Mary Single Barrel Pickles are covered in a spicy and peppery tomato brine! You can eat the pickles and then just add your vodka to the brine and you have the PERFECT Bloody Mary!